If you experience dry skin or eczema that takes a turn for the worse during the colder weather, here are a few winter skin care tips that should provide some much-needed relief. Although you can’t control the cold, you can make adjustments that will help you avoid, or at least lessen, winter’s unpleasant effects on your skin. Eczema and dry skin react to sudden temperature changes—even ones that you may not notice. This leaves your skin feeling itchy. To avoid sudden temperature shifts, make sure you layer on your clothing and bed covers. This way, you can easily add or remove layers as needed to keep skin temperature even. You should also avoid sitting close to the fire or taking hot baths. For those with dry skin and eczema, temperature moderation is the key to winter skin comfort. Although it makes sense to layer on clothing and add hats, scarves, and gloves during the colder winter months, make sure these items are free from irritating wool. Woolen accessories can scratch your skin and increase itching. The same goes for rough seams and loose threads. If you must wear woolen gloves, add a pair of silk gloves underneath. Silk should also be worn under leather gloves for those who are allergic to chromate. When wearing tights, always stick to the cotton variety. Although moisturizing is essential for dry skin, any time of the year, it’s especially important during the colder winter months, when the air becomes drier. 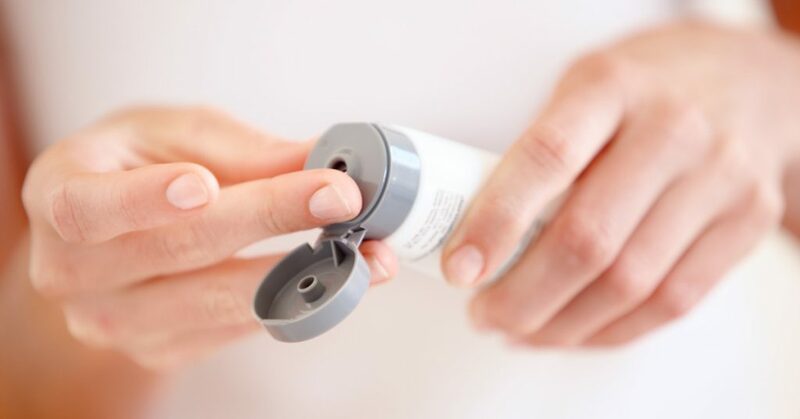 You may find that you need to moisturize more often, or that you require a heavier version of moisturizer, such as an ointment instead of a cream. When applying moisturizer, pay particular attention to your hands and face, as these areas receive greater exposure to the elements. If you can handle it, try petroleum jelly on your lips. To counter the drier, heated indoor air, try adding a humidifier. Although no proof exists that humidifiers actually improve eczema, many people find them helpful. You can also opt for a less expensive humidifying option, by placing bowls of water throughout your living space. Just make sure you routinely change the water and clean the bowls to prevent dust mites. In general, people with eczema have higher than normal amounts of staph (staphylococcus aureus) living on their skin and in their noses. Once these bacteria come into contact with open skin, they can quickly cause infected eczema. You need to be extra careful during the winter months when cold and flu virus infections become more frequent. Although you may not be able to completely prevent the spread of staph, it makes sense to keep plenty of tissues on hand to control as much of the bacteria as possible. Also, practice elbow cough and sneeze, and don’t forget to wash or disinfect your hands after sneezing or coughing. Still Scratching? It May Be Time to Up Your Winter Itch Treatment. By following these skin care tips for dry skin in winter, you should notice an improvement in itching, scaling, and dryness. However, if you try these winter skin care tips and notice little to no relief, it may be time to seek professional advice. This is especially important if you experience new symptoms, inhibited sleep, or a possible staph infection. Worsening, spreading, and additional flare-ups are also red flags. While our providers at FastMed are not dermatologists (or specialists), we may be able to temporize symptoms until you can see one to help you determine whether it’s time to change your moisturizer, or switch to an entirely new winter itch treatment routine. Depending on your symptoms and their severity, you may want to ask about options such as Vitamin D supplements, topical steroids, phototherapy, behavioral techniques, antihistamines, other oral medications, or injections. Not willing to wait weeks for a dermatologist appointment? FastMed stays open extended hours, seven days a week, 365 days a year. Simply walk in to your neighborhood clinic or check-in and register online first to save time.